I felt a lump in my breast in the first week of December. I was watching telly and was laying on the couch with my hands tucked under my armpits. I felt, for those of you familiar with the thriving Australian milk bar confection times of the 1970’s and 1980’s, only what could be described as a chocolate, liquorice, bullet type lump, low in my left breast. I never liked that confectionery. My choice of preference was to spend my twenty cents on five caramel mates and two musk sticks. I made an appointment with a GP the next day. It would take a month to meet with a doctor to have them tell me I was right, there was a lump, but that 95% of lumps were harmless. I went on my holiday to Western Australia. My amazing husband completed his ninth Ironman triathlon. The lump quietly whispered to me throughout that time. Little reminders that it was still there. When I plucked up enough courage, I would have a quick squeeze to see if it was still there. But only at times I felt brave. And it was still there all month. I mentioned it to my Mum and my girlfriend. And on we went through Christmas and New Years. Then January the 3rd, the doctors visit. 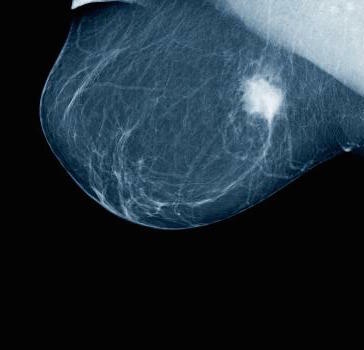 January 8th, the mammogram. I remember wanting to make a joke with a Facebook status about what a joyous experience mammograms are. Highly recommended. Not! But I didn’t. And then the next day, January 9th, I returned for the ultrasound and core biopsies. I knew in the ultrasound. The technician, doctor and nurses demeanour changed and all three people wished me the most sincerest of good luck when they exited the room. They asked if I had children. They did everything to tell me I had cancer without actually speaking the words that I HAD cancer. I was also given a box of tissues. But I wasn’t yet crying. I did not sleep for 16 days. I thought I might have a heart attack or stroke. I sought medication, but it made it worse. I developed symptoms of anorexia and lost 5 kgs in 8 days. Incredibly, while this was happening, with the support of my dear friends and family I made it to the start line of a triathlon in Echuca. I finished it. And after they left my house, I fell to pieces. I went to the local hospital where a fabulous doctor explained that this was a process I had to go through and that it would settle with time. I was reminded that a month ago, I had cancer but didn’t know it , and I was a seemingly healthy, fit woman running races. The cancer may have been there for years. And this helped me escape from that bleak reflection of my mortality that had stared back at me for sixteen very long and difficult days.